Washington, DC has film festivals, not markets. That’s the difference between DC and Sundance, Toronto, Tribeca. But there’s another bottom line for DC film festivals: IMPACT. 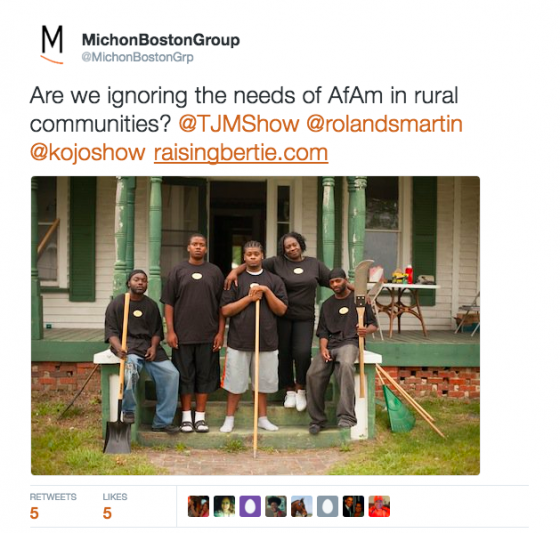 How does a story move people to action? Support key legislation? Who should see it and why? What understandings or changes are inspired? 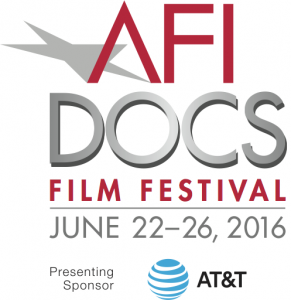 AFI DOCS devotes 5 days (June 22-26) to documentaries from around the world from filmmakers who have an impact goal in mind. Some of the filmmakers will be meeting on the Hill. They and others will also let their stories unfold in hopes that general audiences will connect with the people and the stories they live even after the cameras and boom mics are put away, and festival programs are archived. For me drama or narrative has the same potential for impact. But that’s a tough sell in an information/data junkie city like DC. In either case, story drives everything. And I’m happy to be in the thick of another AFI DOCS festival. Bertie (pronounced Ber-tee), is a small community in North Carolina. There are no neighboring towns 30 minutes away where there are jobs. The primary employers are Perdue Chicken (factory) and 100 prisons that dot the NC landscape. It’s hard keeping a superintendent of schools. Most teachers are not from the Bertie community. But Bertie is where Reginald, David, and Davonte were born, grew up, and Bertie is where they choose to stay. There is little to no reaching back except for possibly the next migration to the South as rents in northern cities rise, and jobs shrink especially for unskilled or obsolete skilled labor. How many secretarial positions are posted? That was the first step to office manager and more on the corporate ladder. Do we still have mail rooms? What happened to that US Postal Service or entry level government job with the guaranteed pension or savings plan to send your kids to college. Diminished. Gone with the shrinking of government. For Bertie, even the diminished options aren’t available. If there is an impact for RAISING BERTIE it’s to raise up this community to find its own way to opportunity (education, health, transportation, infrastructure) — with some help of course. 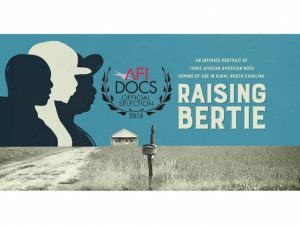 RAISING BERTIE doesn’t fit into a neat familiar narrative of rural poverty. Bertie may be struggling but the people are proud. Call it rural resilience and a sense of reality. Opportunity is RAISING BERTIE’S bottom line. Each year this blog reposts its favorite fatherhood PSA. That’s no different today. By the way, the phone number to fatherhood.gov at the end of the spot still works. Here we go! This year I’m adding an audio conversation from StoryCorps via NPR: a conversation between a returning veteran and his young son. Have tissue on hand. Fathers Day has its own emotional particulars. For fathers, it can be a personal day of parenting reflection and assessment. It’s a celebration of the fathers who love and are loved. For some it’s a time of both celebration and mourning for the great fathers who are no longer with us. Fathers Day is also a curious day of celebration and mourning for the fathers some of us never had. And a time of sadness for fathers who have lost sons and daughters over the years and in recent days to senseless violence, war, or illness. Gratitude, loss, and love are all part of the package of being a father and being human. Here’s to finding fathering love. The death of champion boxer and humanitarian Muhammad Ali seems to bring the 20th century to its final and definitive close. 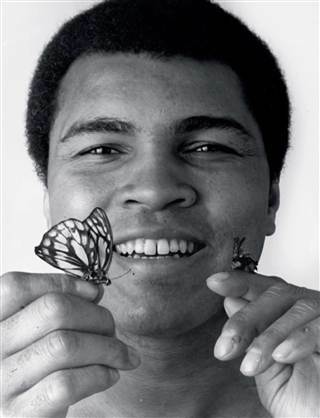 He called himself “The Greatest.” “Champion” wouldn’t do. It’s rare, when someone calls him/herself “The Greatest” and the title sticks even in times of defeat. Because it’s not about accomplishments and winning, but who you are and what you do with the rest of your life for the benefit of others. I always said, you can never make a bad documentary about Muhammad Ali. And I’m happy to say they were made in his lifetime. I’ve selected a few of The Greatest’s moments in and outside the boxing ring to post with this appreciation and with love. If heaven is where he aimed to be, I seriously doubt they’ll even ask his name. “The Greatest” has arrived. The famous 1974 “Rumble in the Jungle”. The show of all shows in Zaire when Ali fought champion George Foreman. Boxing, music concerts featuring the Fania All Stars. Can’t beat this. “The Trials of Muhammad Ali” (2013) – Ali battles public opinion, the U.s. government, and sacrifices everything (career, title, fortune) when he refuses to answer the draft and enlist during the Vietnam War.